Announced today from Statistics Canada, Canadian household debt hit another record high this quarter. The numbers have been slightly revised, but households on average owe 1.67 in debt for ever dollar of income earned. So what does this have to do with Vancouver real estate? Everything. Debt and cheap credit has been called the “drunken brew” fuelling real estate prices according to CMHC boss Evan Siddall. Massive mortgages and financially strapped Canadians is putting the Canadian financial system at risk. It’s why Canadian Finance minster Bill Morneau introduced the Stress Test and will likely introduce risk sharing with the banks in 2017. These costs will then get tacked onto your new mortgage in the very near future. 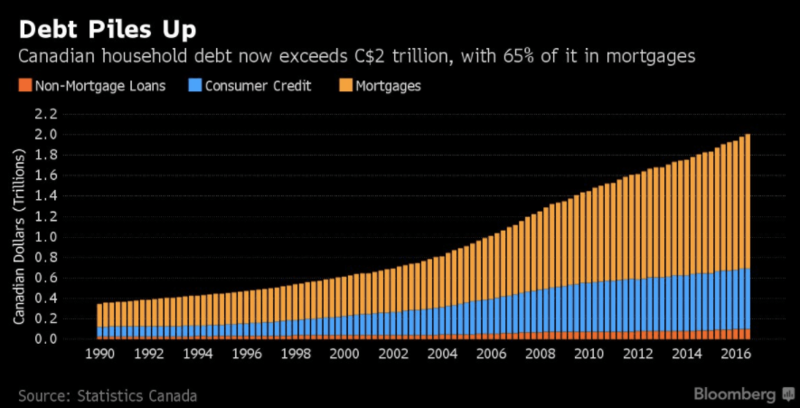 Yet there seems to be some confusion around household debt and the overall financial well being of Canadians. 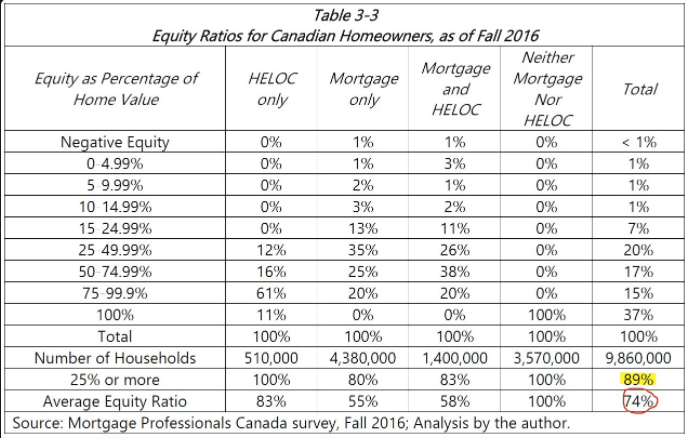 As per this chart circulating social media, it shows less than 1% of Canadian homeowners have negative equity. So what’s to worry about? For starters, Vancouver and Toronto real estate has done nothing but go up in recent years. In fact, Vancouver real estate is up roughly 50% over past 2 years. Meanwhile, It was only a few months ago the Bank of Canada said a 15% drop in house prices would leave 13% of mortgages underwater. A 25% correction would leave 23% of mortgages underwater. Unbeknown to most homeowners, detached prices are down about 15% in many areas. As I highlighted in my post House of Debt, areas such as Newton which is the most indebted in all of BC had runaway price gains of 40% this year. A price correction of 20% for single family homes is already underway. Any wonder the Canadian Government and CMHC are doing everything in their power to keep house prices from rising. As Vancouver slows one has to think their attention shifts to Toronto next. Previous articleHow Much Impact Has the Foreign Buyers Tax Had?